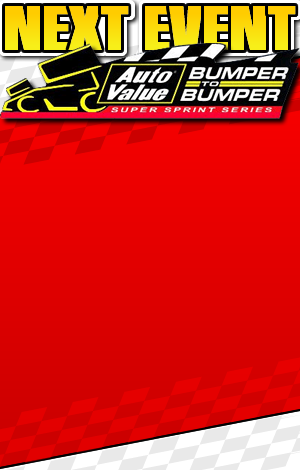 CASSOPLOLIS, Mich. (August 1, 2017) — The Auto Value Bumper to Bumper Super Sprints presented by Royal Purple Synthetic Oil returns to action on Saturday, August 5 at Baer Field (Ind.) Motorsports Park. Saturday’s event is the final event in Indiana for the 2017 season for the Winged Sprint Car series. 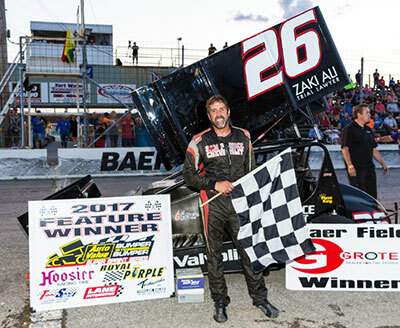 Aaron Pierce scored his second season victory on Saturday, July 1 at Baer Field (Ind.) Motorsports Park in the Summit City Sprint Car Shootout. The feature win marked the third win in the last five series events at the half-mile oval. Pierce set fast time in qualifying then earned a thrilling victory in the 30-lap main event. Following Pierce across the finish line was Bobby Santos Jr., who finished 1.073 seconds behind the race winner. Jason Blonde completed the podium finishers. Kevin Feeney and Chris Neuenschwander rounded out the top-five finishers. Geoff Kaiser finished sixth with Dorman Snyder, Doug Stepke, Chad Delagrange and Tom Geren Jr. completing the top 10. For track layout, physical address, directions, phone, facebook, twitter and website address please click track logo.